This authoritative and vividly written book brings readers into the heart of Italian literary culture from the 1690s to the present. It probes the work of major authors in their broad cultural context, traces the history of audiences and publishers, explores the shifting relationship between public and private, assesses the impact of significant historical trends and events on creative processes, and establishes the continuities as well as the discontinuities of the Italian literary tradition. A synoptic overview at the beginning of the volume is designed to help the reader get her or his bearings in the detail of the nine chapters which follow. Using an essentially chronological framework, the book is divided into three major cultural time-spans: the long eighteenth century, the decades of national identity formation and the creation of modern', industrial Italy between 1816 and 1900, and the twentieth century with its constant renegotiation of national cultural identity. A final epilogue provides a snapshot of Italian literary culture in the near-present. This is a book which will be readily accessible to students and all those interested in Italian culture, and at the same time is based on the most up-to-date scholarship. 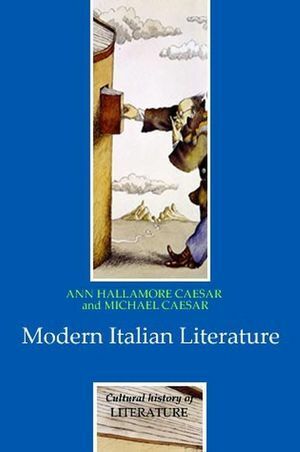 New readings of the canonical authors rub shoulders with a refreshing attention to standard and popular writing, gender issues, and the interaction between written and oral forms, producing a history of modern Italian literature which is new in its conception and its scope. Ann Hallamore Caesar is Professor of Italian at the University of Warwick. Michael Caesar is Serena Professor of Italian at the University of Birmingham.